Exchange gifts at your event! 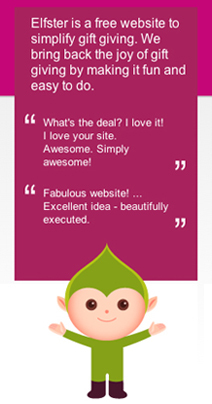 Elfster allows you to customize your event page, wish lists and more! They even give you the option to check out trending gift ideas and leave/send messages for your Secret Santa(s) (all anonymously, of course!). It really puts the secret back into Secret Santa!